It is a great pleasure for me to address the conference on the Chinese Renaissance in Europe in the context of the China-EU Year of Intercultural Dialogue. I am also honoured to join an event with such a distinguished host. 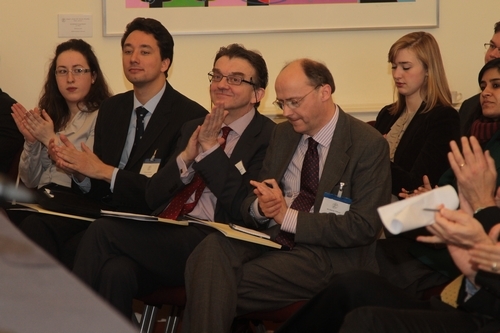 The British Academy is the UK's National Academy for the humanities and social sciences. Its standing lends great authority to these proceedings. The topic today is the Chinese Renaissance in Europe. I find the choice of the word 'Renaissance' most interesting. Literally, it means the renewal of interest in a particular subject. This suggests there used to be immense European interest in China. So looking back - what aroused the interest in China? Records show that two millennia ago silk from China was in very great demand. Later silk was joined by porcelain and tea from China. These imports fascinated the whole of Europe. Silk and porcelain were the most sought-after luxury goods of high society. Tea eventually became indispensable for ordinary people. During the 14th century, Marco Polo's book became a European best seller. The description in his travels pictured China as the wealthiest country in the East. His book had a huge influence. Yet, the rosy picture of China was smashed in more recent centuries, for example, through the Macartney mission and the Opium Wars that followed. Relations between China and Europe went through a U-turn and turned very negative. Over the past century, China has been working hard to learn from and catch up with Europe in political, economic and cultural fields. Then why are we now talking about the Chinese Renaissance in Europe? · The Chinese economy has been growing very fast in recent years. It has overtaken Italy, France, UK and Germany and become the second largest economy. The speed and scale of industrialisation of China over the past 30 years is without precedent in world history. · The confidence of Europe has been eroded. Over the past five years this has been caused by the international financial crisis and the European debt crisis. Europe feels under pressure in the face of China's fast economic growth. · China has built up a large foreign exchange reserve. Chinese companies are going global. As a result, Chinese investment in Europe is growing fast. · Chinese tourists have been coming to Europe in ever growing numbers. Their spending power has caught the attention of retailers and the media. 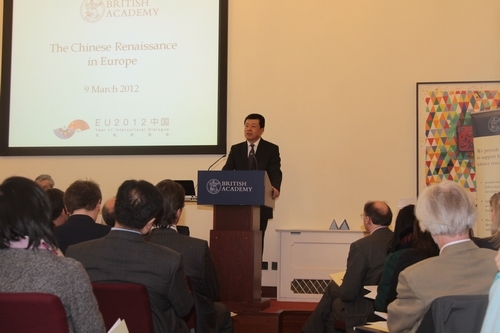 So how should we understand this Chinese Renaissance in Europe? Firstly, there has not been any fundamental reversals in China-Europe relations. The evolution of our relations is not like a cycle, as someone put it. I stress this point because China is on the rise, yet Europe is not on decline. Despite the current difficulties, Europe is still the richest part of the world. China is still a developing country. Indeed it is the largest developing country in the world. Some observers have created a new description. China is now called an 'emerging' economy. But the reality is that per capita GDP of European countries, like UK, are ten times more than that of China. My second point is that China's development means opportunity for Europe, not a threat. 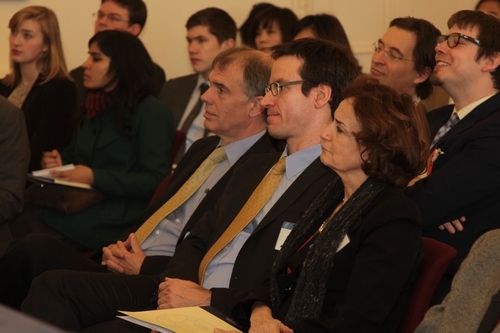 China's policies hold out great opportunities for European manufacturers and exporters. These will come from the reorienting of China's growth model to one more and more driven by consumption and imports. For example, the ongoing industrial upgrading in China will help Europe export more products and technologies and make handsome profits. More Chinese investments will help Europe ease financial constraints, create jobs and revive the economy. Chinese tourists and students will increase the income of European households. China's commitment to help Europe with its debt crisis as much as it can is a timely made in friendship. 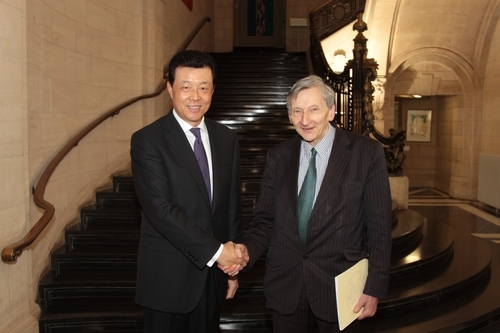 We believe strongly that China and Europe can and should strengthen cooperation in a mutually beneficial way. My third point is that Europe needs a big rethink about today's China. All too often China is portrayed in European media through stereotypes and a cold-war mentality. This approach often made China into a "monster". Only better understanding and more respect can bring us closer. European people deserve to see a true picture of China. Then what is the true picture of China? · China's domestic agenda focuses on development and reform. · Its foreign policy stresses cooperation and harmony. · Its human rights situation has made continuous progress. · The Chinese people are enjoying a much better life than their parents and grandparents. · 660 million Chinese people have been taken out of poverty since the foundation of the People's Republic in 1949. Today's China has come a long way in the past 60 years. This is not only on the economic front, but also on political, social and cultural fronts. China's development is comprehensive in nature. China's social system suits the realities in China and serves China's stability and development well. The NPC and CPPCC sessions are going on in China as I speak. A careful reading of Premier Wen Jiabao's Report on the Work of the Government will tell you that the word 'reform' appeared 70 times. This shows that China will not be complacent with what we have achieved. Reform will continue in China. 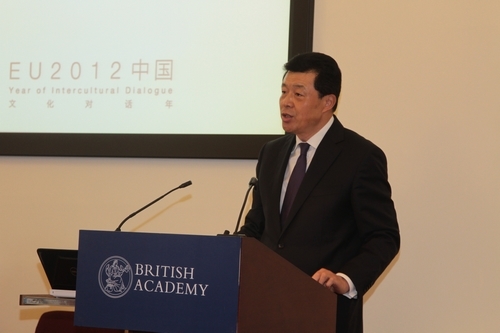 This year is the China-EU Year of Intercultural Dialogue. The conference today is an important part of this programme. I hope that you will embrace the spirit of intercultural dialogue. In turn let that dialogue enhance mutual understanding through exchanges. In this way we can jointly advance China-Europe cooperation. Understanding and cooperation must be the key themes of our relations. The China-EU comprehensive strategic partnership will have a bright future. In conclusion, I wish the workshop a great success.